David Gary Lloyd utilizes photography, digital painting, and mixed media to explore and comment on our perception of beauty within natural and material settings. While benevolent in his perspective, David’s artworks comment on the role mass marketing plays in molding the Western persona. He holds BFAs in Photography and Graphic Design with a focus on Advertising from SCAD (Savannah College of Art and Design). David held a position as a Teaching Artist at the PAMM (Perez Art Museum Miami) where he led museum tours for Florida youth, provoking analysis and insight into the themes of contemporary art. David has exhibited at Scope Art Fair during Art Basel Miami and GLAAD Art Auction in NYC. 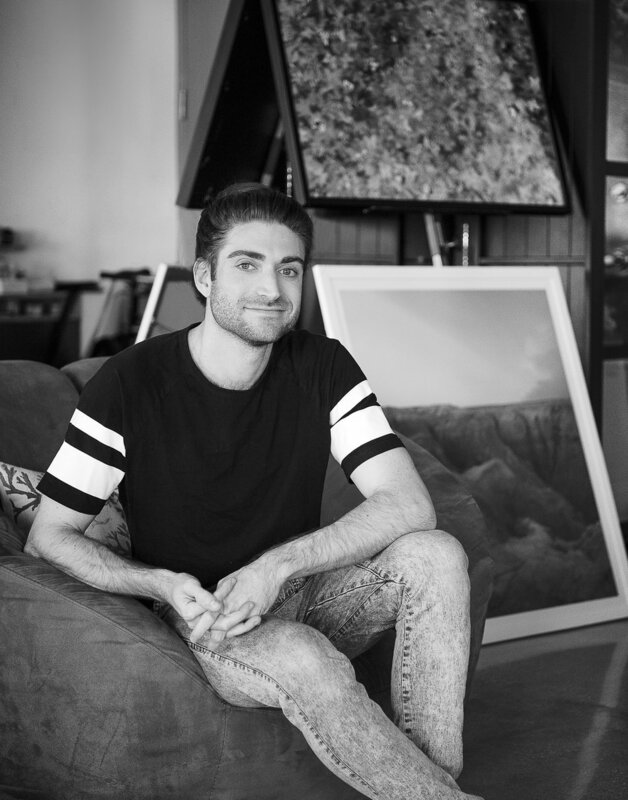 His photography has been featured in Vogue Mexico, SaatchiArt, and DesignMilk. He is originally from Annapolis, MD, and currently lives and works in the colorful city of Miami, FL. Discussing Al Held's artwork at the Perez Art Museum Miami.